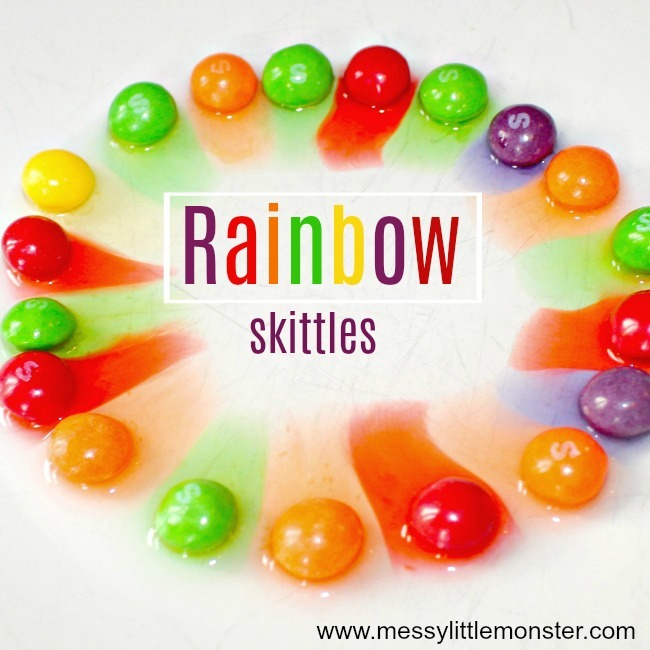 Rainbow Skittles - A fun and easy science experiment for kids! 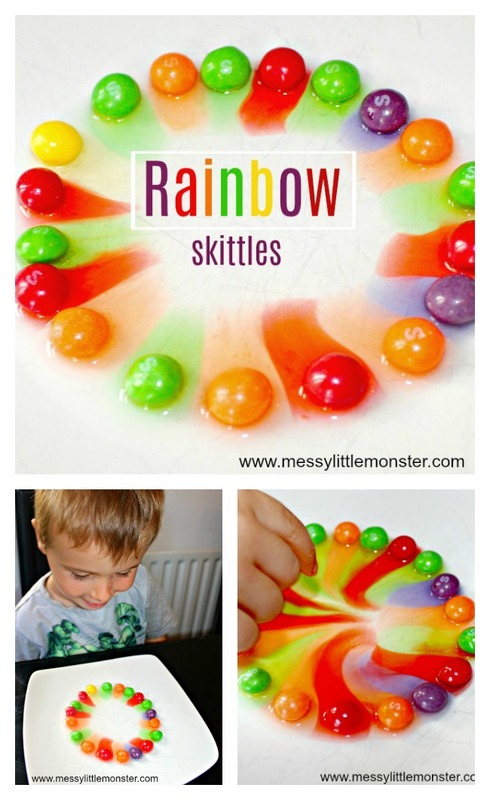 The rainbow skittles science experiment is a fun and easy science experiment for preschoolers upwards. Young children seem to love this classic science experiment! 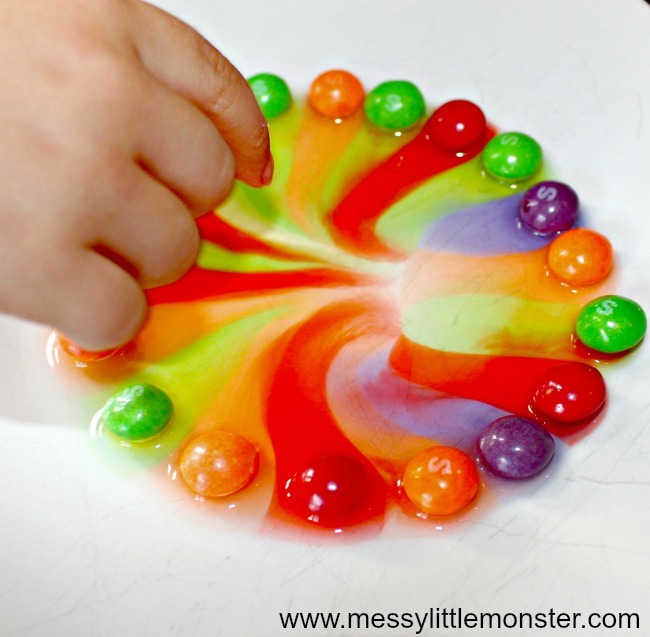 Toddlers, preschoolers and older kids will be fascinated as they watch the colour dissolve from the skittles into the water to create a rainbow of colour. The best thing is that this reaction takes place within seconds so there is no waiting around! rainbow baking soda science experiment. 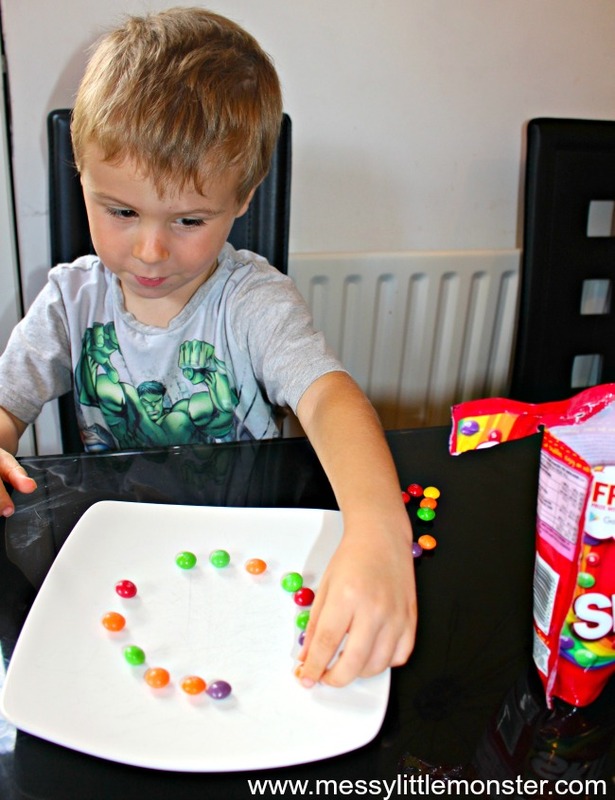 Place skittles in a circle on a plate. You could have fun at this stage trying out different colour combinations and making different shapes with the skittles. Once you have laid out all the skittles carefully pour some warm water into the centre of the plate. Wait a few seconds and you will start to see the colour dissolving from the skittles and spreading into the water. The colour travels quickly, as if by magic, and soon you have a rainbow of colours. Young children will find this reaction fascinating to watch. What better way to use up any left over sweets you have lying around the house after Halloween or Christmas! 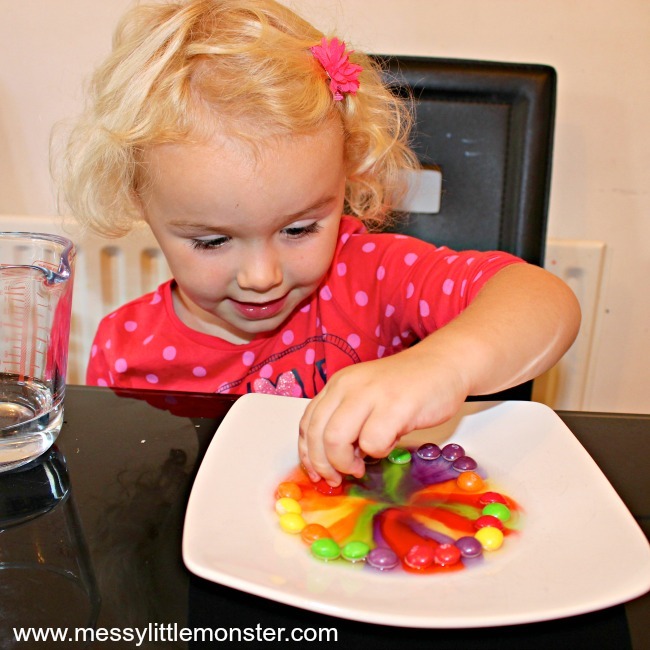 We hope that you enjoy the rainbow skittles science experiment as much as we did! 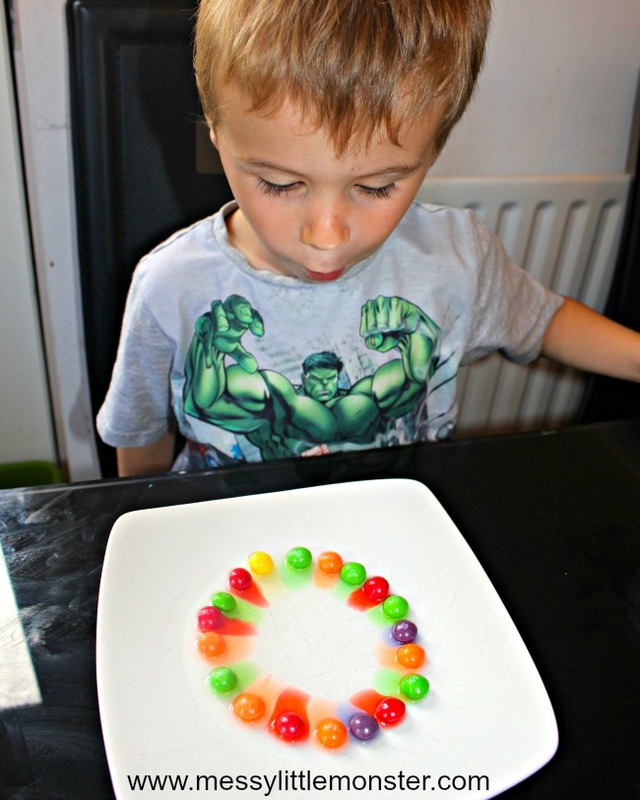 We have lots more fun and easy science experiments for kids that you might want to try!